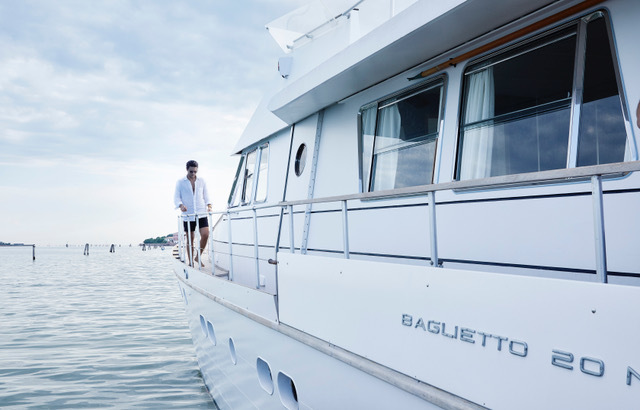 The Venice Lagoon is a treasure waiting to be discovered and the best way to do it is the “Baglietto Yacht Experience” by Blitz Exclusive. 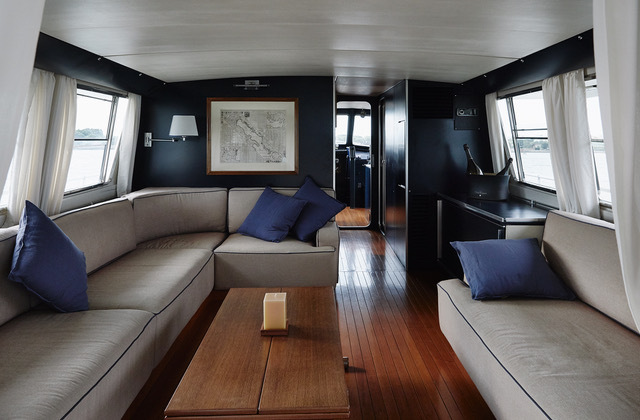 On board of Sibell, a 22-meter vintage motoryacht built in the 60s by Cantieri Baglietto, you can enjoy a unique tour where taste, nature and beauty come together to create a unique experience. The “classic” trip sees departure from Sant’Elena and a visit to the Northern lagoon which includes the islands of Murano, Mazzorbo, Torcello, Burano. The day ends in the San Marco basin, just in time for a romantic Venetian dinner. The offer is totally customizable: from itineraries to on-board services, the entire experience can be tailor-made to suit your needs. During the excursion, the boat will be anchored in the lagoon while guests will have the opportunity to taste the chosen menu in a private and quiet atmosphere. The catering service on board is offered by the Chefs of Alajmo, who will be available to guests to prepare contemporary interpretations of classic Venetian and Italian cuisine. Available on request, the starred kitchen of the Quadri Restaurant, a first-class location in Piazza San Marco, or the more informal Amo, a new restaurant located inside the exclusive T Fondaco dei Tedeschi. 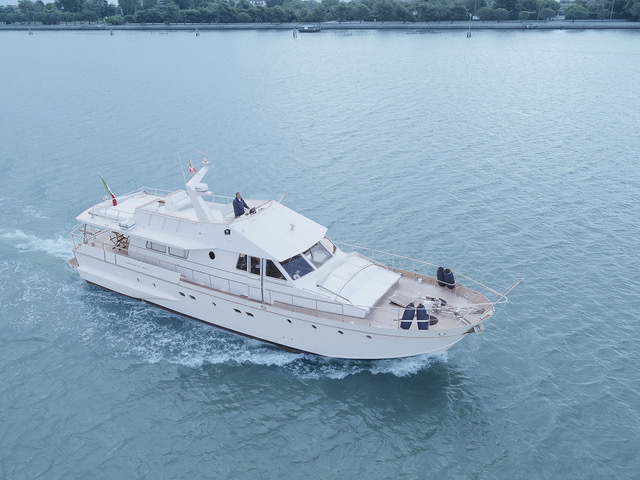 The Yacht, which can accommodate up to 20 people (including the staff), also offers the possibility to rest inside the luxury cabins and enjoy all the services and spaces available on board. SuperYachtsMonaco are delighted to once again be working with Roberto Curtó of RC Designs to develop his new 63.2m motor yacht HYPNOSQUID. 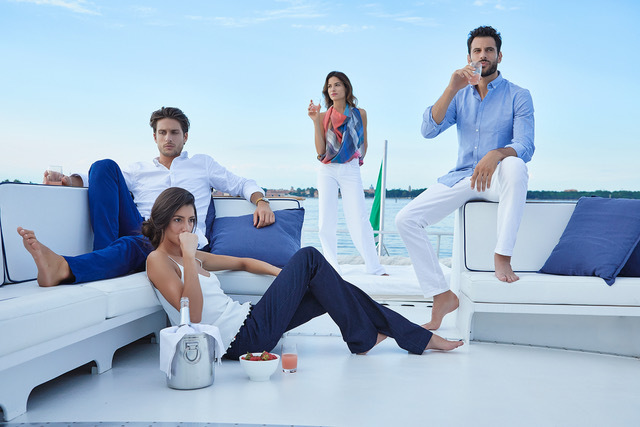 The Five Largest Yachts at the 2019 Palm Beach International Boat Show ! Frauscher Boats UK has been appointed the sole dealership for Frauscher in the UK and Ireland and is part of Grosvenor Yachts Ltd.
We share the same passion ! We share the same passion!